Most of the on-goings within the general realm of aesthetic medicine have marked a continuation and amplification of existing trends. That means more movement toward less invasive, less costly, and less "surgical" procedures. It also means more attention paid to preventive treatments vs reactive. 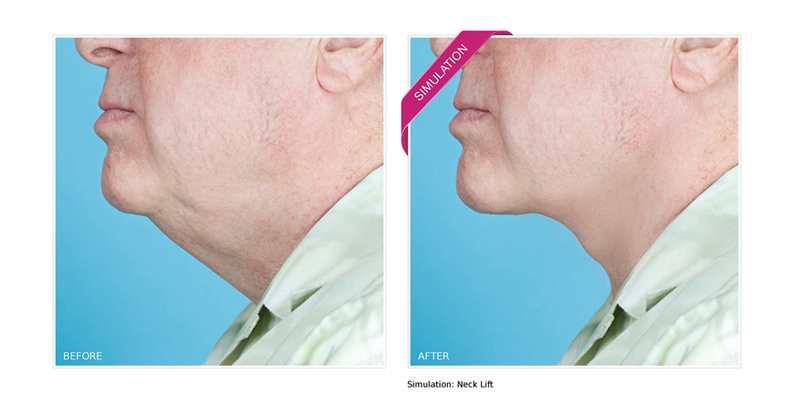 The driving force behind both of these developments is the growing market for millennials (particularly men), an increased willingness for patients to experiment with shorter-term outcomes, and the expanded transparency of celebrities receiving cosmetic enhancements. Younger people are seeking treatments that they can "try on" for shorter periods of time. This is partly due to the bespoke-consumerism that marks the youthful demographic, and partly because procedures with more temporary outcomes are seen as more socially acceptable. It's also a trend likely caused by the lower costs, similarly beneficial outcomes, and minimized recovery times associated with non-surgical or minimally invasive treatment types. As a whole, the aesthetic medicine market is expected to grow from $52.4 billion to $69.8 billion in the next 3 years. While that growth is tied to both invasive and non-invasive procedures, the latter is predicted to expand an additional .2%. A sizable portion of that expansion is tied to rising Asian markets, highlighting the new wealth in that region as well as the continued globalization of aesthetics and the trends that follow. Patients of all demographics are continuously seeking minimally or non-invasive alternatives to traditional surgical procedures. This trend has been steadily growing for the past few years and is expected to expand even further as we move into 2019. These types of procedures are typically less expensive, have shorter recovery times, reduced or non-existent scarring, and offer subtler and more temporary results. All of these factors enable patients with a modern-consumer mindset to experiment more freely with treatment options in a more socially acceptable context. There are a few newcomers to the slew of minimally invasive, non-invasive, and non-surgical treatments being offered, but most of what's expected to come in 2019 is more of the same. Some notable procedures rising to popularity are platelet-rich plasma injections (PRP), Bellafill, Halo Laser, and Emsculpt. Other more established procedures like Botox, Microneedling, CoolSculpting, and Labiaplasty are set to rise even further as well. Platelet-Rich Plasma (PRP) and the "Vampire Facial"
Ever since celebs like Kim Kardashian began experimenting with the "Vampire Facial" (PRP injections into facial skin tissue), this blood-based procedure has become a hot and highly-debated topic in the industry. The treatment involves taking the patient's blood, spinning it in a centrifuge, and then extracting the platelet-rich blood for further injection back into the patient's body. It was originally designed to treat muscular-based injuries by helping the soft muscle tissue regenerate more thoroughly. It has since been used to improve facial skin, treat hair loss, and lift and reshape breasts. While the efficacy of this treatment is still contested by many, there is undoubtedly going to be wider and more varied utilization of platelet injections in 2019. PRP treatments fall perfectly in line with the larger trends involving non-surgical procedures, impermanent outcomes, celebrity endorsements, and openness to experimentation. The name "Vampire Facial" might not stick, but this procedure certainly could. Emsculpt is the latest treatment to jump on the non-surgical body-contouring phenomenon that CoolSculpting currently dominates. 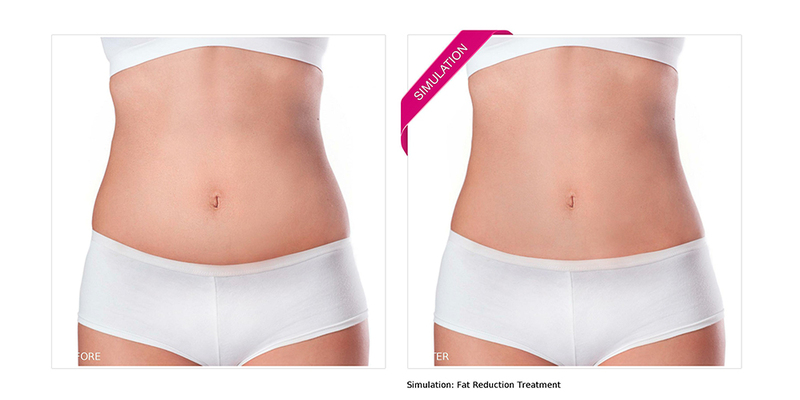 The major difference between Emsculpt and its lipolysis competitors is its promise to build muscle rather than solely remove fat. Using electromagnetic stimulation of muscular tissue, Emsculpt causes forced contractions that lead to muscle growth and fat loss. Part of its current trendiness is likely caused by the fact that it's simply touting a new technological approach to a previously established treatment craze. And part is due to its dual muscle-building, fat-reducing outcomes that other treatments can't offer as of yet. Lasers are nothing new, but the Halo Laser offers a uniquely hybridized approach by combining ablative and non-ablative lasers within the same treatment. Like other laser treatments, the Halo Laser focuses on repairing sun damage, wrinkles, discoloration, enlarged pores, and uneven tones. It claims to provide astounding outcomes with reduced downtimes, which is increasingly important in today's market. As new technologies continue to emerge, more and more patients are seeking options for facial skin repairs that won't leave them looking chemically burned or unable to enter sunlight for lengthy periods of time. Practices willing to provide experimental, niche, and highly customized treatment options will be the go-to for 2019. As more aesthetic services consumers want to experiment with higher volume, less expensive, and "lower risk" procedures, providers who can offer bespoke and niche options will ultimately win out over those who solely focus on traditional treatments. Off-label usage, hybridized therapies, and innovative approaches to common ailments are continuously piquing the interest of the modern aesthetics market. Some notable niche treatments on the rise include Earlobe Surgery, Buccal Fat Removal, Thread Lifts, Hybrid Breast Implants, and Lip Lifts. Earlobe Surgery isn't anything new, but more patients are becoming aware of its effectiveness and it has seen a nearly 20% increase in interest on sites like Real Self over the past year. While the outcomes are noticeable, the ears are a more easily hidden and less obvious place to receive surgery on the face. This falls in line with the growing desire for subtlety and minimized scarring. Buccal Fat Removal has also received increased interest as a way to reduce the "chubbiness" of cheeks by removing part of the fat padding in that area. While candidates for this treatment can be older, it's usually sought out by millennials with the desire to minimize the appearance of a "baby-face". Thread Lifts are another modern treatment option that tout subtlety and impermanence as draw factors. The procedure involves tightening facial skin using dissolvable sutures and is considered less invasive than traditional facelift surgeries. Hybrid Breast Implants mark a growing trend involving the combination of two or more treatments to solve the same general issue. This particular procedure uses fat injections along with a traditional breast implant to create a subtler, more natural looking outcome. And because fat is being used as a supplement, smaller and inherently less risky implants can be placed within the surrounding tissue, offering a more nuanced approach to augmentation. Lip Lifts are the surgical alternative to lip injections. 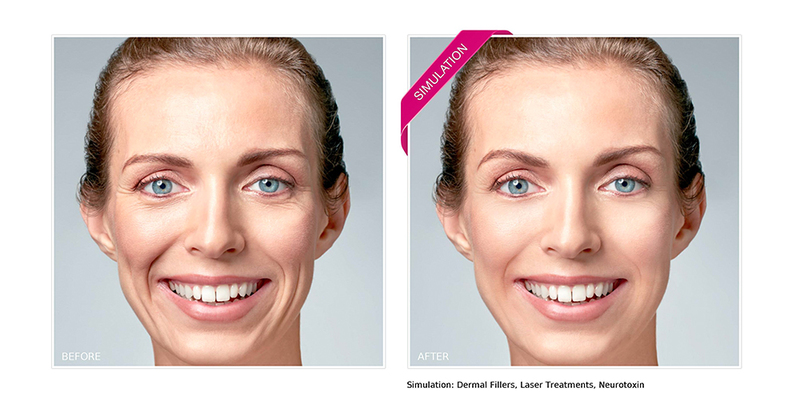 Like these other treatments, the desired outcome for lip lifts is subtlety and a more natural appearance. The procedure involves removing a portion of the skin in between the nose and upper lip, with the intention of lifting the lip up and producing a plumper, fuller look. Both of the last two points touch on similar overarching trends: the ongoing rise of injectables and the growing millennial market. They also point out the desire to use injectables to solve several problems that they weren't originally designed for. Botox has been a leader of this off-label injectable usage for years. And now keywords like "Baby-botox" are highlighting the growing market for younger patients hoping to prevent wrinkles rather than simply repair them as they age. The rise of PRP is another example of off-label usage that's being championed by the millennial market. As we mentioned above, the Vampire Facelift is continuing to grow in popularity and the willingness to experiment has led to its use in areas like hair restoration and breast augmentation. And as more celebrities endorse this procedure and more providers decide to give it a shot, we will undoubtedly see more seemingly implausible applications of this strangely promising approach as 2019 rolls through. 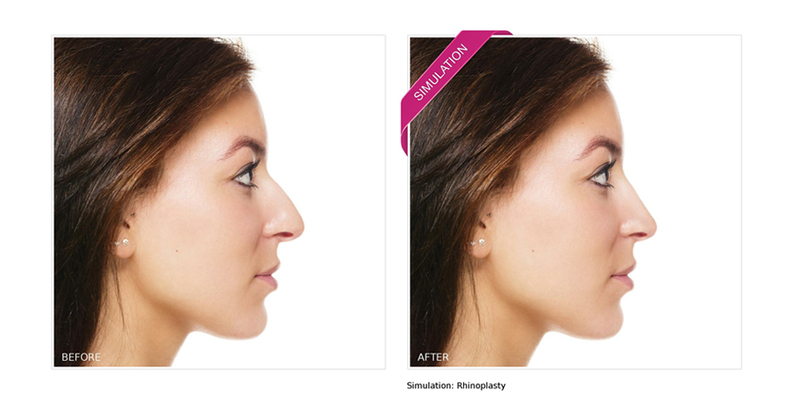 One fairly remarkable off-label injectable treatment is the increasingly popular Non-Surgical Nose Job. This procedure involves the injection of facial fillers into the bridge of the nose in order to give a straighter, fuller appearance. The main draws for this treatment option are its non-surgical and impermanent aspects and millennial men are quickly jumping on the bandwagon. Hair restoration and cosmetic dentistry will likely be two of the fastest growing sectors within the overall aesthetics services industry in 2019. Younger patients, subtler approaches to whitening and straightening, and most notably, advancements in 3D printing technology will aid in cosmetic dentistry's expansion next year. While innovative treatments like PRP, Scalp Micropigmentation (SMP), and the use of robotics in Follicular Unit Excision (FUE) will help put hair restoration on the same path. PRP is used to treat hair loss by essentially revitalizing the hair follicles through the injection of platelet-rich blood cells. The process is promising, however, the results can take a lot longer to appear in comparison to traditional restoration methods and the overall growth is typically less abundant. Still, the use of PRP in this fashion demonstrates that the hair restoration industry is willing to experiment with exciting new approaches and adhere to the more modern aesthetics consumer. In the realm of teeth, 3D printing technology is promising to vastly improve the industry's ability to create highly customized, precise, and natural looking implants and Veneers. It's also being used to build less expensive, yet equally effective molds, drilling guides, and other tools that dentists are frequently in need of. While the technology is not necessarily new, it is still in its infancy and continues to become more developed and robust every day. As the field for 3D printing in cosmetic dentistry grows, we anticipate a need for more specialized technicians and better patient education to ensure safer, more optimal outcomes. The realm of over-the-counter and direct-to-consumer cosmetic products is always an interesting and fruitful place to look to when trying to understand the aesthetic enhancement market as a whole. In the last few years, younger brands offering more creative and energetic approaches to achieving subtle, natural beauty have been at the forefront. These brands are attracting a more Millennial-based audience that desires experimentation, minimal invasiveness, "socially acceptable" outcomes, and the ability to "try before they commit". That last point is important to keep in mind. The new modernized consumer is becoming more and more used to being able to "try before they buy" and that mentality is crossing over into the aesthetic services industry. Of course, less permanent and more experimental treatments offer one way to appease this audience. However, the use of innovative patient engagement technology provides a far more expansive and versatile approach to this type of consumer mindset. New Look Now provides predictive imaging technology that allows patients to essentially "try on" treatments from home or in your practice's offices. We offer simulated treatment results for a wide range of procedures that include those offered by cosmetic dentistry, hair restoration, plastic surgery, dermatology, and much more. 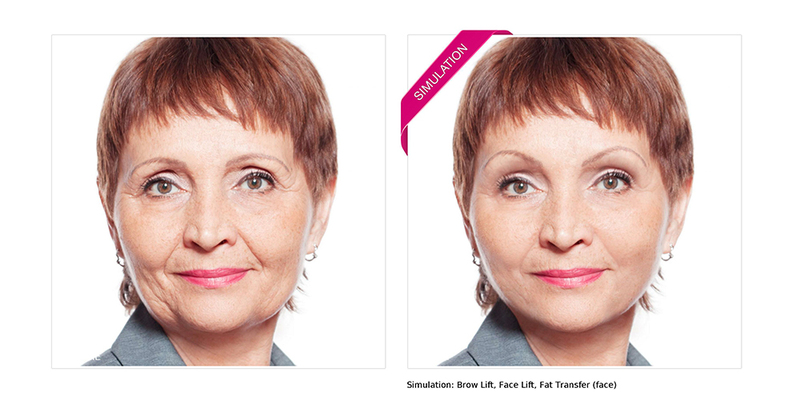 With fast and accurate results, New Look Now can help you market your practice to the more demanding and experimentally focused patients of 2019. Learn more about New Look Now's predictive imaging technology here.